Plot (house site) outline planning permission has now lapsed. Price over £30,000 Entry by arr. Viewing contact solicitors. 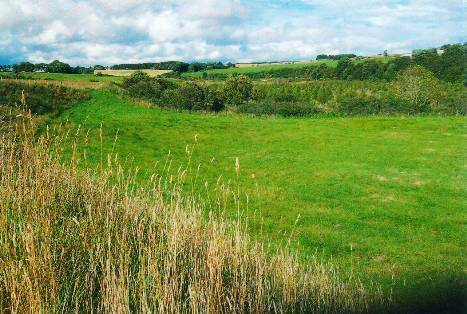 We offer for sale a house site Cosyneuk at South Greycairns, Newmill Keith. There is no Planning Permission with this house site but the Seller will accept an offer subject to planning permission. The Purchaser will be required to apply and satisfy themselves as to the planning application and permission from the Local Authority. This site has magnificent views over the surrounding countryside. This is an ideal opportunity to purchase substantial country site that is within 3 – 4 miles reach of the town of Keith. There was approval of outline planning permission granted but this has now lapsed and the Seller is not re-applying. Keith the “Friendly Town” is around 16 miles east of Elgin. Aberdeen and Inverness are some 50 miles equidistant having excellent international and domestic airport facilities. The town is serviced by bus and rail. There is a full range of commercial, recreational, leisure and educational facilities in the town as well as a health centre and hospital. GENERAL Electricity is understood to be nearby. Interested parties should make their own enquiries to satisfy themselves as to the cost of these supplies. The nearest public mains water supply is approximately 610m from the proposed development site. Proposed drainage to a septic tank. DIRECTIONS From Keith towards Banff on the A95 turn left at the signpost for Newmill. Take the road on the right climbing to the top of the hill, pass the cottages on the left and take the next track road on the right to Claypots and Allacardoch – continue straight on to the end of the road. After a reasonable period of advertisement a closing date for offers may be fixed and all parties who have SPECIFICALLY registered an interest will be advised. Notwithstanding the foregoing, the sellers reserve the right to enter negotiations and conclude a bargain with any interested individual. All offers should be addressed to Messrs Peterkins, Solicitors, 186 Mid Street, Keith. NOTE While the foregoing particulars are believed to be correct they are not warranted and shall not form part of any offer to purchase. All measurements are approximate.